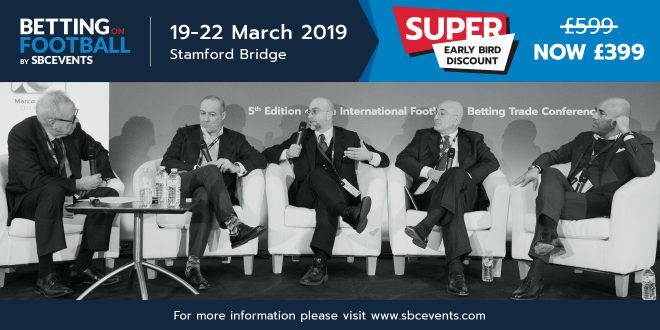 Super Early Bird tickets are now available for next year’s Betting on Football conference, which returns to the home of Chelsea FC at Stamford Bridge from 19-22 March 2019. All the ‘Early Birds’ who purchase tickets before Friday 14 December will get a £200 discount off the full ticket price, for an event featuring up to 2,000 senior delegates, space for 40 exhibitors and 200 world class speakers. These speakers will be spread across the following six conference tracks – Leadership & Vision, Betting on Innovation, Betting on Marketing, Global Markets, Tackling the Issues and Sport In Focus. 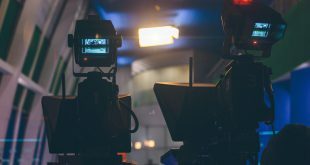 On the first day, Leadership & Vision will delve into football’s fight to regain the public’s trust and consider whether new brands can compete within a saturated market, while Betting on Innovation will explore potential disruption around blockchain, retail betting and pool betting, as well as early ramifications of the new General Data Protection Regulation (GDPR). 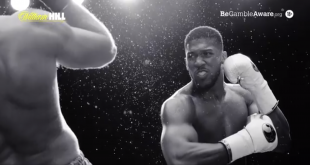 Betting on Marketing looks at engaging the female fan base and taking request a bet type markets to the next level, as well as inviting delegates to apply a ‘2020 Vision’ to the European Championships, which prepares to host a record 32 nations across 12 cities. Day two delivers a tour of the hottest ‘Global Markets’ including a focus on regulation-seeking India, PASPA-less US and new licensees in the Swedish market, while ‘Tackling the Issues’ extends to the impending gambling advertising crackdown in Italy, how automation can tackle problem gambling and addressing the pain in payments. 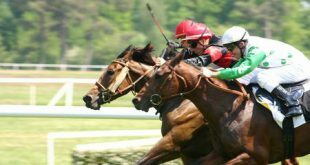 For the first time, our traditional ‘Sport in Focus’ track includes latest developments in both esports and virtual sports, alongside the industry’s plans for next summer’s Cricket World Cup and a quickfire reaction to UK horse racing’s headline Cheltenham Festival. 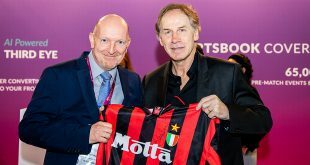 Once again, Betting on Football will also provide an opportunity to make high level connections through networking parties at some of the best venues in London – Frankie’s Bar and Namco Funscape, with the closing party venue yet to be named. Frankie’s Bar will host pre-registration drinks on Tuesday 19 March, while the official networking party on Wednesday 20 March returns to Namco Funscape – which includes free use of facilities including arcade machines, pool tables, bowling lanes and bumper cars, before we finish off Thursday 21 March with an outstanding closing party. 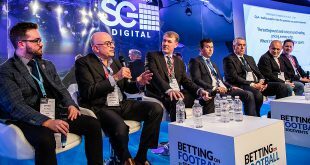 Super Early Bird tickets for the biggest ever Betting on Football conference, headline sponsored by OPTIMA and SG Digital, are available for just £399 (+VAT) until 13 December. After this date, ticket prices will revert to the standard rate of £599 (+VAT). 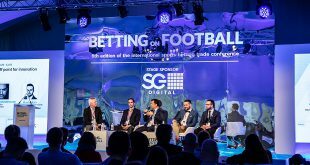 For those wishing to enquire about sponsorship opportunities for Betting on Football conference & exhibition, please contact our sales team via sales@sbcgaming.com or call +44 (0) 161 367 1650.